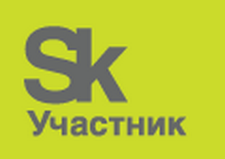 CJSC “Axion – Rare and Noble metals” accepted the 29 million rubles grant from Skolkovo Foundation for research and development of the new selective ion exchange materials AXION. How to turn science into business? The company “Axion – Rare and Noble metals” started introduction of the production technology of selective ion-exchange materials of new generation. 29 млн получили пермские химики от фонда "Сколково"
2016 © АО "Аксион - Редкие и Драгоценные Металлы"
Селективные технологии AXIONIT - извлекаем то, что другим не под силу.